This year marks a decade since Bitcoin, the first cryptocurrency ever created, came on the scene. During this period, it has managed to transform the concept of transactions and opened the door to hundreds and thousands of other cryptocurrencies and blockchain projects. Some of them got even further by impacting the way we negotiate and make deals with the help of smart contracts. Other projects focus on the potential of blockchain for various use cases. This new trend took investors by surprise the same as the Internet did during the 1990s. Almost everyone became interested in becoming rich super-fast, but what about the long-term stability? Don’t we remember how the dot-com bubble ended? Well, the LAPO project, which is currently building an ecosystem with its own ePlatform and cryptocurrency, wants to bring stability to this wild and volatile space and let investors rely on a “safe-haven” in case the market keeps surging and collapsing on a daily basis. But we’ll discuss LAPO a bit later – let’s continue with a bit of recent history. At the beginning of 2018, the cryptocurrency market was at its peak, with its total market capitalization surpassing $800 billion. Internet users were counting how much revenue they would have generated if they had invested $100 in each of the top 20 crypto coins back in January 2017. The results were quite impressive, and many thought January 2018 was the right time to enter the market for rapid gains. However, soon the correction came, and it took longer than expected. In mid-April, crypto hedge fund Pantera Capital reported that its Digital Asset Fund lost almost 50% of its value in March 2018 alone. “We’re in a market with around 100 percent annualized volatility and this month was the worst month in our model’s 27-month history,” the fund’s co-chief investment officer Joey Krug said. The good news is that April and May were much more generous, starting a spring revival of the crypto market. Volatility has been a serious concern especially for conservative investors, who would like to invest in projects that bring value and are not shaken by market sentiment. Besides the natural volatility that is always an attribute of a young market, investors have to be careful with another significant problem – pump-and-dump schemes. How Does the Pump and Dump Scheme Work? Pump and dump are illegal in the traditional markets. 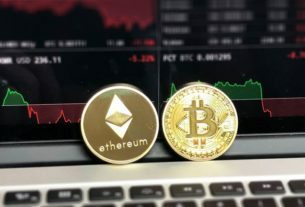 However, since the crypto space is not regulated, people are openly engaging in pump and dump schemes on social media channels. In short, these scams involve large groups of people who artificially inflate the price of a small-cap altcoin through the spread of rumors and fake news and by buying it en masse, creating a high demand effect. After the price peaks at some point, the ‘pumpers’ exit the market by selling the altcoins to a second group of people, who fall the victim of these fake news and who invest without any due-diligence, especially because of the fear to miss it out. After the first group sells off en masse to the second, unsuspecting group, the price of the altcoin collapses, and the pumpers move to another coin. The groups, which can reach thousands and even hundreds of thousands of individuals, can plan their scheme online through Telegram or other social media channels. Generally, they set a specific time to buy the altcoins. 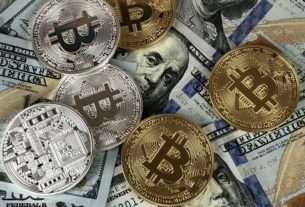 The US regulators, Commodities Futures Trading Commission (CFTC) and the Securities and Exchange Commission (SEC), along with regulators from other countries, have warned against such scams. Is There any Stable Coin Out There That Investors Can Rely On? Yes, first of all, large cryptocurrencies, like Bitcoin or Ethereum, cannot be manipulated by average investors via social media. 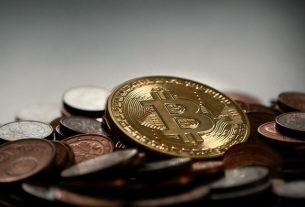 However, relevant comments from top executives can have a short-term impact even on these large coins. Stability is a rare quality in today’s crypto world. In light of this, LAPO, a Swiss startup, aims to bring investors a real refugee where they could store value and enjoy unmatched functionalities of a crypto-oriented ecosystem that can be adopted for everyday business. LAPO ecosystem will be business-oriented, will include a variety of attributes, starting with the LAPO Coin (LAX), and will try to smartly unite the traditional financial world with the cryptocurrency space. The project wants to cover every aspect of a real blockchain infrastructure, thus developing a new cryptocurrency, a decentralized ePlatform where investors could easily trade tokens and fiat currencies, a payment system, a wallet app, a protection layer, a bank, and a stability fund among others. 1. At time t(0), there is some number of coins, M(b), each worth $1.00. 2. By time t(1), each coin has increased in value by 10% to be worth $1.10. 3. The system now sells 0.1*M(b) new coins through an auction to individuals holding shares, destroying the shares it purchases. 4. After the auction, the total number of coins in circulation is 1.1*M(b), driving the price per coin back to $1.00. 5. At time t(2), the value of each coin is $0.90. 6. In response, the system sells shares through an auction process to coin holders until the supply of coins has fallen to 0.99*M(b) through a buy/burn process. 7. After the auction, the coin price again stabilizes at $1.00. In this way, the fund will intervene to stabilize LAPO’s price and protect it against pump and dump schemes. It doesn’t mean that LAPO will always maintain at a certain rate forever, as Tether currently does. LAPO Coin will grow in value thanks to the natural increase in demand and the wide adoption of the ecosystem. However, the fund will make sure this growth is not artificial, and the price is not volatile. LAPO Coin will become attractive for investors thanks to its long-term potential. You can think of it as a functional tool for rapid transfers and secure payments. From an investor’s perspective, LAPO is storage of value rather than an instrument for fast profits. For more information, check out the LAPO website.